So I had ear surgery a year ago this Thanksgiving and my goal was to avoid any major accident for at least a year. Since that time, Melissa and I have been putting away a little every month into an emergency medical fund. Sadly, a HALF of a month before my one year anniversary we ended up dipping into it. This is a picture of my ankle yesterday at InstaCare. Today it's not as swollen but a nice shade of purple. Of course I was playing basketball and went up for rebound and when I came down my ankle completely gave way and I couldn't walk on it. I hopped to my car and drove home where my sweet wife took me to the InstaCare. I was so proud of her she didn't even get that nauseous (which is saying a lot because she doesn't do well in doctors or dentists offices) They took some X-Rays and there were no broken bones but said that I had just messed up the ligaments in my ankle and will just take time to heal. So I'm out for the next 2-3 weeks for sports and have to cancel running the Thanksgiving 5k up in Idaho Falls. But here's to next year. 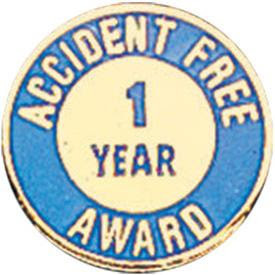 My goal is to win the 1 year accident/injury free award. I was also thinking about putting up a sign like this one in my house documenting how many days I've been accident free. On the lighter side, when I went to InstaCare the first thing they ask me as I "walked" (hopped) in is "are you here to see a doctor?" I wanted to be sarcastic and say something but thought better of it. Then I had to fill out all the insurance information with one lady and then wait in the lobby and then go to a different nurse who took my temperature and blood pressure (for my ankle?) and then waited another half hour until a doctor came in and asks "Does your foot hurt?" I had to really fight saying what I wanted so I toned it down a little and asked, "So what do you do when someone is in excruciating pain? I'm doing alright but was wondering if they had to fill out all this paperwork while they were writhing around on the floor?" She said they sometimes make exceptions for extenuating circumstances. I thought the whole thing was kind of comic which made me think of my all time favorite Brian Reagan clip called "Emergency Room" I was so tempted to "Say Eight!" as Brian teaches you. The clip is absolutely hilarious. It's about 8 minutes long but totally worth your time. Here's the link. Also as it is Thanksgiving time I just wanted to express my gratitude that I haven't had as many traumatic experiences as my good friend Dean Nelson. You can do it buddy. Just take it one year at a time. Thanks for the clip and the good laugh! You are funny! Hope your foot gets feeling better soon. Bummer! You and Dean are like two peas in a pod! 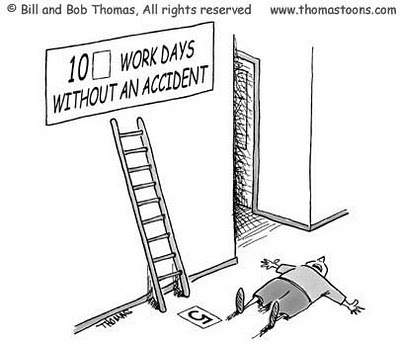 ;) There should be some kind of award for which one of you can go the longest without injury! You're both lucky Melissa and I put up with you! Ha!